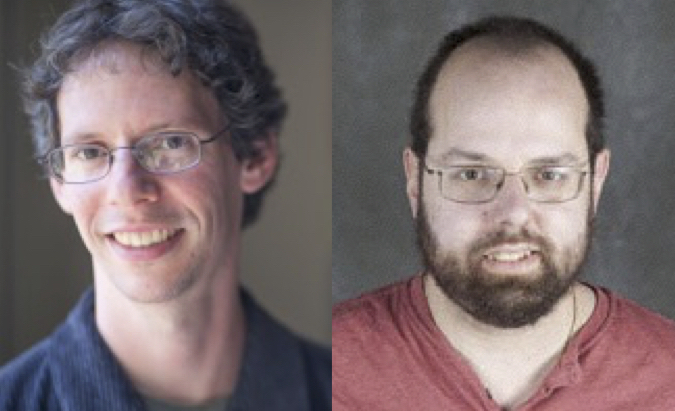 The 2015 Clay Research award has been made jointly to Larry Guth and Nets Katz for their solution of the Erdős distance problem and for other joint and separate contributions to combinatorial incidence geometry. Their work is an important contribution to the understanding of the interplay between combinatorics and geometry. Larry Guth is a professor of mathematics at MIT, having moved there from the Courant Institute in 2012. He received his PhD in 2005 from MIT under Tomasz Mrowka. Originally working in metric and systolic geometry, he has since made major contributions to harmonic analysis and combinatorics. In particular, he developed ideas introduced by Dvir to prove the multilinear Kakeya estimate (originally due to Bennett, Carberry and Tao) and then, with Bourgain, applied them to obtain new results on the ‘restriction conjecture’ in harmonic analysis. Nets Katz has been a professor of mathematics at Caltech since 2013, having previously been at Indiana University. He received his PhD in 1993 from the University of Pennsylvania, under Dennis DeTurck. His earlier work was in harmonic analysis, but more recently he has diversified into combinatorics and PDEs. He has made important contributions in additive number theory, with Bateman on the ‘cap set problem’ and with Bourgain and Tao in their joint proof of the Bourgain–Katz–Tao sum product theorem. The distance problem was posed by Paul Erdős in 1946. It concerns the distribution of distances determined by a set of n points in a metric space. At most how many times can the same distance (say the unit distance) occur? What is the minimum number of distinct distances that can occur?